Prevent v1.0 is a freeware application which runs on all Windows Operating System. The installer in downloading package when run will only places the Prevent 1.0 folder in the system Program Files folder. Sometimes you don't want that anyone won't cut,copy,past,delete or rename your files or folder's in your computer,for this Prevent v1.0 is a perfect freeware application as no one will ever know what wrong with your computer while they try to cut,copy,past,delete or rename your files or folder's on your computer. If you don't want anyone deleting or renaming or messing around with you data, then Prevent may be able to help you alot. To install the program, click on Prevent.exe.Once,accept the term's and conditions and wait till it gets installed.Once installation is completed,open Prevent and then Set your Hotkey to and click on activate to start the Prevent operation.Remember your saved hotkey as to stop Prevent.exe you will need to press that hotkey. You may set hotkey as Ctrl+P if you wish. The default hotkey are Win+F8 to kill Pre_1 and Win+F9 to kill Pre_2. But the single hotkey set by you will kill both processes at the same time. 9. Disables Task Manager-End Process button. Also it doesn't allow you to right click on process name and click on end process.It also grays out the context menu item or stops the process. NOTE:To uninstall or remove Prevent, use the Uninstaller situated in the Prevent folder or simply delete its Program folder. Click To Download Prevent v1.0. NOTE:ABOVE INFORMATION IS FOR EDUCATION AND SECURITY PURPOSE ONLY.IF YOU MISUSE OR MISTREAT THE ABOVE INFORMATION,THEN IT CAN BRING UNLAWFUL CHARGES BY THE PERSON ON WHOse system YOU USED THIS TRICK.THE AUTHOR WILL NOT BE RESPONSIBLE IN THE EVENT ANY UNLAWFUL CHARGES ARE BROUGHT TO YOU BY ANY INDIVIDUALS BY MISUSING THE ABOVE INFORMATION.WE WON'T TAKE RESPONSIBILITY FOR ANY OF YOUR ACTION RELATED TO ABOVE INFORMATION. Sometimes we need to execute our special scripts silently on our victim system so that no one come to know about it even if they are standing infront of us and keep their eyes on what we are doing with their system.In such case,we always think about making or getting a software which can do our job silently without popping out the window and run our scripts silently/stealthily in background so that no one comes to know about it and also our job gets done. 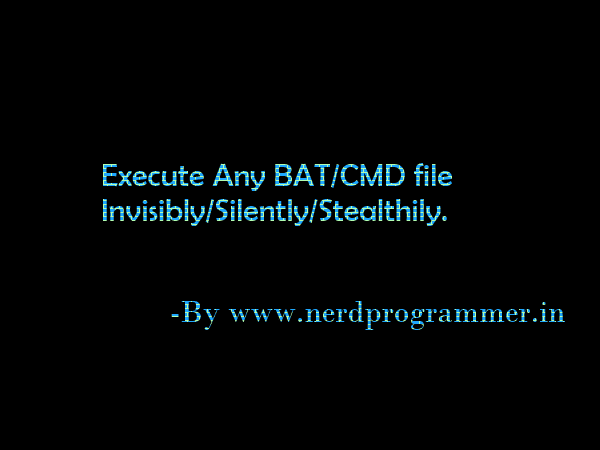 Hacker's also sometimes need to hide the execution of their scripts in background because they don't want the victim to be suspicious on them.So for that i am sharing a script which will get your job done easily and execute your BAT/CMD files without popping out any window. For tutorial purpose,i am using the folder prank(Folderprank.bat) trick in this.To know more about folder prank trick,click here. My Folderprank.bat file is ready.All i now need to do is run the below script which will run my Folderprank.bat silently/stealthily without popping out any windows and no one will ever know about its execution until someone check their task manager all processes. I will utilize Windows Script Host RUN method to invisibly execute BAT file in the background. Copy paste the above script in notepad and save it as "Any_Name.vbs" i.e. what ever name you want but with .vbs extension.I have saved the script with name "Silent Runner".If you don't save it with .vbs extension then the script will not run.So carefully make sure you save the above script with .vbs extension. Also in above command you will find "C:\Folder Prank\Folderprank.bat" where "C:\Folder Prank\Folderprank.bat" is the location of the Folderprank.bat on my computer.All you need to do is change this location with the location of your BAT/CMD file. Once you change the location with the location of the BAT file,just save the script with "Any_Name.vbs". Now you are ready,just make sure you save both the vbs script and BAT file in same folder.Also make the BAT file hidden so no one know about it. Open the "Any_Name.vbs" file and it will run the BAT/CMD files silently in background.To check whether it works or not,directly check the result of your BAT/CMD file or go in task manager>show all process>cmd.exe which means that your script is being running in background silently. Try new Flip Text application developed by Nerd Programmer.Enter the text in below textbox and click on "Flip Text" and then see the result. 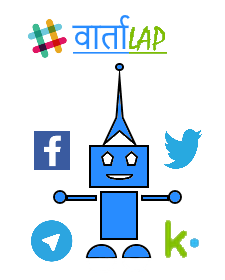 Copy the results from textbox and surprise your friends by sending the flipped text or update your status using this trick on facebook , twitter , gmail , blogs or any other social networking website. PLEASE DON'T FORGET TO SHARE THIS TRICK WITH YOUR FRIENDS. All LINUX commands and their description.